This wonderful book is a must-have for planning your tour along America's Mother Road. 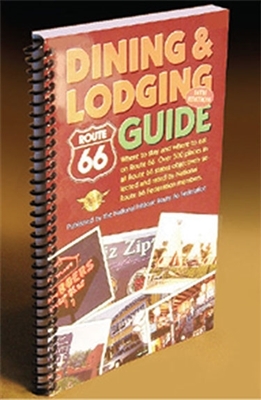 With an emphasis on the historic properties, the guide will help you find the hidden dining and lodging gems along Route 66—making your trip a memorable and enjoyable one. 14th Edition. Spiral bound. 5 1/2" x 8 1/2". 120pp.